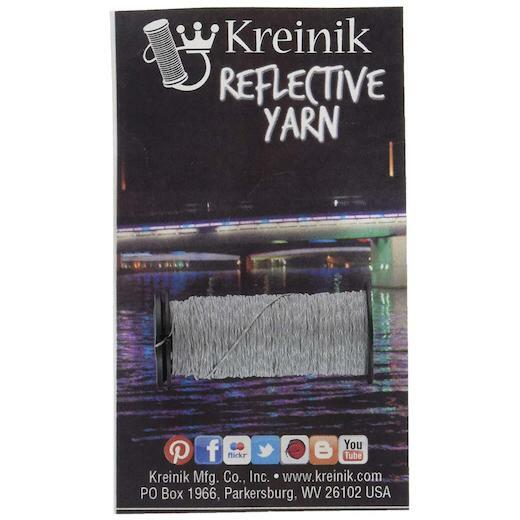 Kreinik Reflective Yarn Thread will literally light up your life! A carry-along fiber with light reflecting properties. Constructed of polyester and glass beads to make it reflective. It is luminously lit, fun and visible, washable and dry cleanable. Ideal for dog collars, belts, shoes, handbags, ornaments, jewelery and more. This package contains 25 yards of reflective yarn thread.